This optical store was originally built in 1994 with the name of Ultra Optics Ltd. 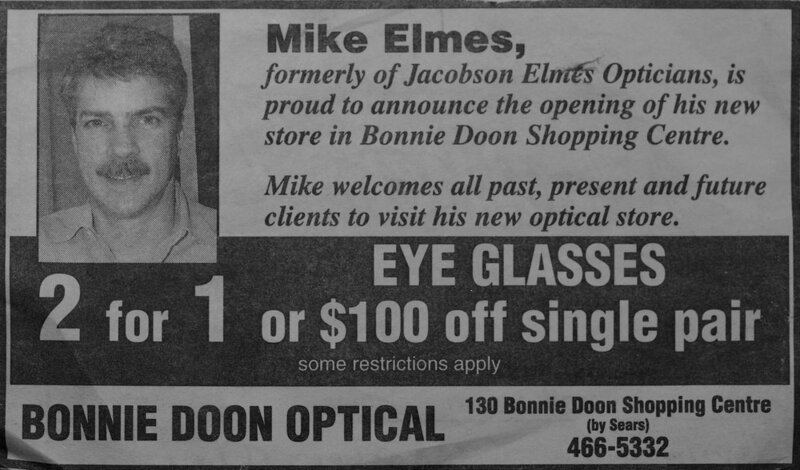 In 2001 Mr. Mike Elmes purchased Ultra Optics Ltd. and created Bonnie Doon Optical, which he had owned and operated for 17 years. In 2018, Dr. Nadia Clark purchased Bonnie Doon Optical and added the optometry division, offering full comprehensive eye exams while keeping the optical division. Dr. Clark renamed the company to Bonnie Doon Optometry to incorporate the full scope of the practice.